Finrally is one of the new Cyprus-based binary options brokers, but comes with a difference. Finrally not only awards a deposit bonus of between 25% and 125% for all first-time deposits, but also awards a “re-deposit” bonus. So if you have a dormant account, you can get extra trading capital by simply making a new deposit to reactivate your account. Find out more about Finrally below. The ratings on each point say it all. There are not many binary options brokers that award re-deposit bonuses and this point has earned Finrally a score of 85/100 for bonuses. 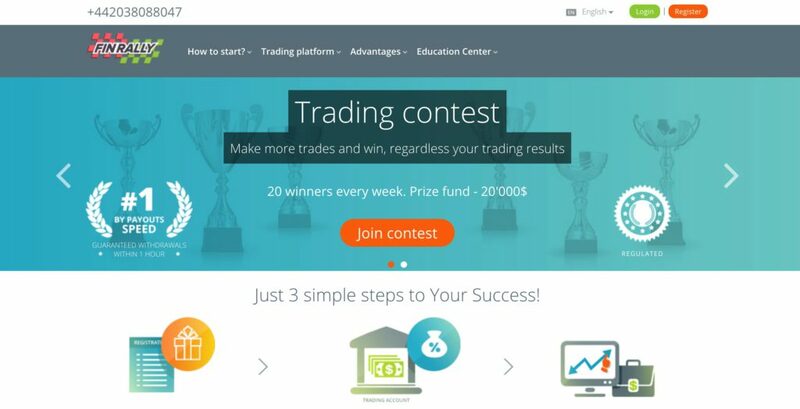 As winner of an award for the Best Trading Platform, Finrally scores a remarkable 90/100. The UX interface and features on the platform are truly remarkable. The platform also features a desktop version, making it one of the very few binary options brokers to have a downloadable platform version. Customer support is limited, which is why the brokerage scores 70/100. Finrally is a Cypriot-based binary options broker, and winner of the Best Trading Platform award at the China Forex Expo held in Shenzhen on 6-7 May 2017. The company commenced operations in 2014 and is gradually emerging as a force to be reckoned with among binary options providers. Finrally is regulated and licensed by the Vanuatu Financial Services Commission (VFSC). Forex: EURUSD, GBPUSD, EURGBP, USDJPY, USDCHF, USDRUB, USDSGD, NZDUSD, AUDUSD, GBPRUB, EURRUB,USDTRY,EURJPY, GBPJPY. Commodities: Platinum, silver, gold, light sweet crude, coffee, sugar, Gold/Euro. Stocks: IBM, Nissan, Tesco, HSBC, Coca Cola, BP, Lukoil, Sberbank, Tirkcell, Teva Pharma, Nissan, Gazprom, Nike, Apple, Microsoft, Google, Netfliz, ExxonMobil, Baidu,etc. Indices: Dow, S&P500 Nasdaq, FTSE100, IBEX35, ISE30, MSM30, RTS, MICEX10, TADAWUL, CAC40, Nikkei225, Hang Seng, ASX200, SSE180, TEL AVIV25. Finrally offers traders a deposit bonus. This is a graduated bonus which increases with increase in the deposit amount. It also correlates with the bonus structure created for each account type. The Bronze Account is the starter account on Finrally. A minimum deposit of at least $250 is required for this account, and it comes with a 20% bonus. The next level is the Silver Account, which requires a deposit of a minimum of $1000. This comes with a 50% bonus. The Gold Account is the VIP-level account, which requires a deposit of nothing less $3,000. Bonus provided can be up 100%. Finrally also grants a “re-deposit” bonus, which is used to encourage old traders with dormant accounts to resume trading on Finrally. The re-deposit bonus commences at a level of 25% of the re-deposit amount. Finrally boasts of one of the most advanced mobile trading apps available. 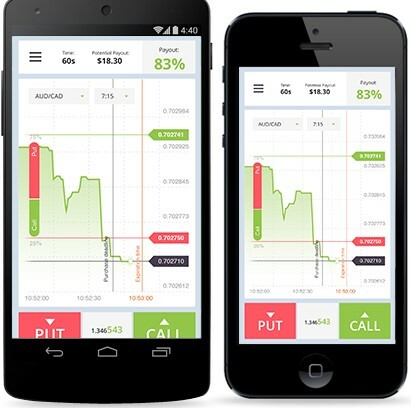 Traders have access to the iOS and Android versions of the Finrally mobile trading app. Credit card/debit card: VISA, Amex, JCB and MasterCard are the favoured card brands on Finrally. Bank wires are universally available. Digital wallets: Digital wallets allowed on Finrally include Alipay, Webmoney, QIWI, OKPAY, PayPal, Neteller, PerfectMoney. Cryptocurrencies: Bitcoin has been added as a payment method on Finrally. The transaction processing times of Finrally is comparable to what is obtainable in the industry. Finrally provides a limited customer support. The quality of the customer support on Finrally is below par and needs to be stepped up for better support of clients and prospects. Finrally provides an affiliate program which enables users to refer their friends and get paid doing so. Interested in catching up with the cryptocurrency trade? Trade Bitcoin and Litecoin on the Finrally platform. Finrally may have only been in the market for 3 years, but it is slowly but surely finding its way into the hearts of many binary options traders across 150 countries of the globe. The company has incorporated a lot of user-friendly features into its offering, ensuring that the trader is placed first. Here are some of the advantages of using Finrally as your preferred binary options broker. Withdrawals are processed within 1 hour guaranteed! Trading goes on non-stop, even on weekends. Traders get access to a wide array of payment methods for deposits and withdrawals. Trading and trader data are secured with the latest encryption. Gold account holders get to trade under experienced guidance. Perhaps the greatest issue that Finrally faces is that its regulatory license does not have as much weight as that of other regulators such as the CFTC and CySEC. Another issue is that of the limited channels of customer support. Is Finrally a trusted broker? Answer: Finrally is one of the trusted brokers in the binary options market. The company is regulated by the VFSC and there are no pending cases against it. What is the minimum deposit amount on Finrally? Answer: The minimum deposit amount on Finrally is $250, which is the amount that can be deposited on the Bronze account as the minimum. Other account types come with minimum deposits as well: $1000 for the Silver account and $3000 for the Gold account, which is akin to the VIP account on other platforms. What are the platform versions available on Finrally? Answer: You can trade with the following Finrally platforms: a browser version, a downloadable desktop version as well as a mobile app. Is Finrally a scam or legit? Answer: Finrally is a legit broker. There are no scam reports against the company. Can I trade Bitcoin on Finrally? Answer: Yes, you can. Bitcoin is one of the assets that you can trade on the Finrally platform. Answer: The essence of the bonuses is to provide extra trading capital. To be able to withdraw it, you have to fulfill the trade turnover conditions attached to the bonus. Refer to the Bonus Conditions document on the Finrally website.